I had some left over kheema from yesterday and was wondering what to do with it. It was too little to go as a filling into samosas, puff, bread or luqmi. 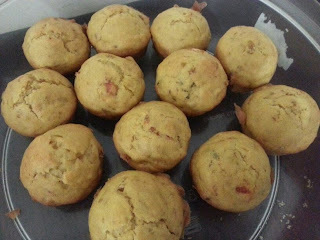 I suddenly thought what if I made muffins using the kheema. Till the time I actually went to look for a recipe for muffin base I didn't know that so many different types of savory muffins did exist. so I picked one of the muffin recipes added the kheema to it and popped it into the oven with my fingers crossed. They cooked and came out of oven looking perfectly fine. I had to wait till I broke my fast to taste them and they really tasted good. I will definitely make them again but with more kheema as I had used too little of it. You can use the same muffin recipe and add any other savory dry filler of your choice. 1. Preheat oven to 190C and grease the muffin tray. 2. In a mixing bowl add the dry ingredients by sifting together the flour, baking powder and salt. 3. In another mixing bowl add all the wet ingredients by first slightly beating the egg, then adding the milk, yogurt and oil and mixing it well. 4. Add the kheema to the wet ingredients bowl and mix well. 5. Make a well in between the dry ingredients bowl and pour the wet ingredients into it. 5. Mix with a spoon with gentle strokes. Do not over mix or beat it. It can have small lumps but well combined. 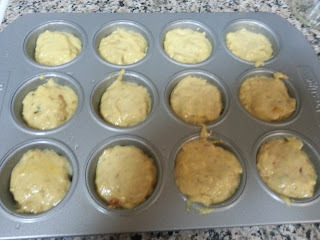 If you mix it too much the muffins will not bake fine and will be dry. 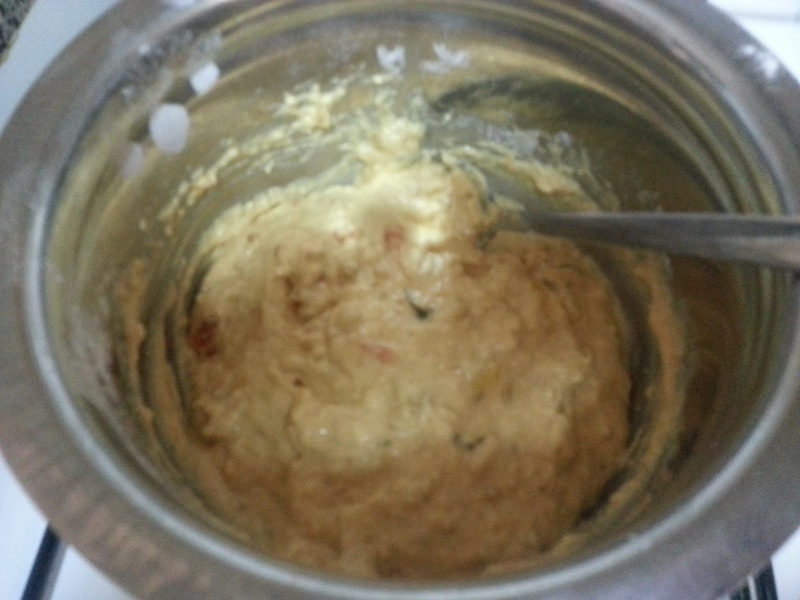 6. if it is too thick add some milk and if it is too thin then add a bit if flour. It should not resemble a dough. 7. Spoon the batter into the greased tray slots evenly. Fill upto 2/3 full as the muffin will rise. 8. Place in the preheated oven and bake for 20-25 minutes or till they are cooked and turn golden. 9. Let them cool down after removing from oven. Enjoy kheema savory muffins with ketchup. 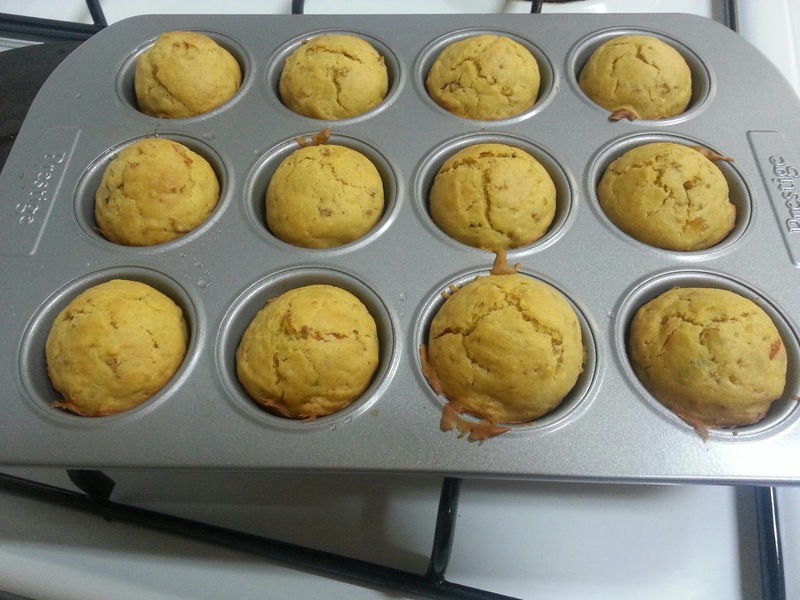 Muffin base recipe from wikihow with some changes by me.